Welcome to Prince William Ice Stars! 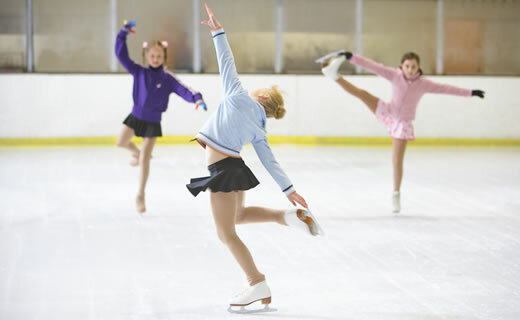 We provide a number of different opportunities in Figure Skating, whether you are a beginner or more advanced skater. Our coaches have years of experience and knowledge within the sport. Click on one of the images or links below to learn more about a specific offering. 10 questions in 10 minutes with Hungarian National Team Skater Emily Monaghan! Emily Monaghan is a 20 year old Ice Dancer from San Diego, California. After a couple years away, she returned home to the Prince William Ice Center for a recent Freestyle session. General Manager RJ Zeigler sat down for "10 in 10" with her. RJ: So you are now and international Ice Dancer for Hungary. That's amazing! When did that start? Emily: The process started in January of 2018.
RJ: How did this extraordinary opportunity come about? Emily: Well, I had been working hard over the years in hopes that it would lead somewhere. Then through some online forums I met my partner, Ilias Fourati. After a tryout period, it became official. 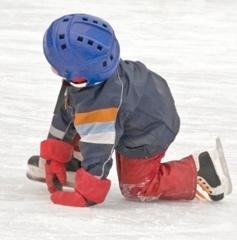 RJ: Very cool, ok, so going back in time now, when did you start skating and when did you make the focus transition to Ice Dancing specifically? Emily: So I was four when I started skating, but I didn't start focusing on Ice Dancing until I was sixteen. RJ: Where did you start skating? Emily: I first skated at the former facility in Fredericksburg, then moved here to the Prince William Ice Center in 2006. I trained here all the way up until I left to compete a couple years ago. RJ: How old were you when you realized that you could compete as an Ice Dancer at an elite / international level? Emily: Honestly as I said before, I was always hopeful, but until I found my partner in never really seemed like a reality for me. Its crazy how things can happen to quickly. 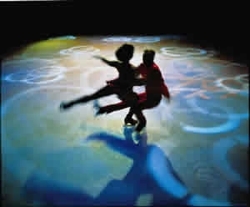 RJ: So fast forwarding now, what has been your proudest moment as an international ice dancer - up to tis point? Emily: Representing Hungary in the 2019 Winter Universiade was amazing. It's the second largest competition behind the Olympics with almost 60 countries represented. RJ: What comes to mind when you think back to your days here at the Prince William Ice Center? Emily: This was my home away from home, I spent so much time here. It was the first facility I ever competitively trained at. I had a great relationship with my coaches, the staff, everyone. RJ: What are you and your partner's short term goals? Emily: We just want to build on the solid foundation we've established as a team. We are confident in our skills and our chemistry, so now we need to increase our degree of difficulty to really reach our potential. RJ: Sounds like a plan, and a long term goal? Emily: Beijing 2022, hands down. We want to represent Hungary in the 2022 Olympics in Beijing. Thats what we are working towards. RJ: Well that would be spectacular for you, your family, and your partner obviously. 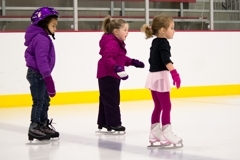 Ok so question 10 - is their anything you would say to kids skating at the Prince William Ice Center who may have dreams of skating on the stage you are getting to right now? Emily: I would say to keep your eyes open and always keep working hard. You never know where and when an extraordinary opportunity will present itself. RJ: Well said. Thanks for your time Emily and from everyone here at the Prince William Ice Center best of luck in reaching Beijing. You have a fan base here at your old home rink ready to cheer you on!